Why is a good staff such an important quality to find in a Dog Walking Service? Canine Cuties guarantees in providing their clients with the best, most friendly, and reliable dog sitters in San Francisco. Finding a reliable and loving dog walker in San Francisco could be difficult due to the endless choices out there. I have personally worked for three different dog walking companies in San Francisco and I was able to see what some of the customer service downfalls were both for the dogs and the dog parent. When I decided to expand Canine Cuties from Reno to San Francisco I wanted to make sure the best level of customer service was also brought over. I also wanted to add what some of the other dog walking companies in San Francisco do not offer. The first thing I noticed was how important it is to have a good team of dog walkers that love their job and are given a lot of respect and support by the dog walking company they work for in San Francisco, in return the team provides our clients and fur clients with a loving, premium, and customized service. How does Canine Cuties provide the best dog walking service in San Francisco? 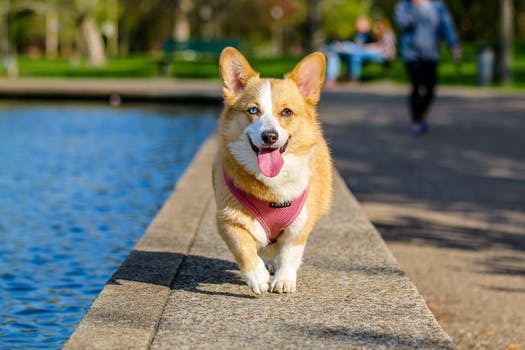 Owner ran and operated – I am the owner and founder of Canine Cuties Dog Walking and Sitting Services in the Reno and San Francisco area and I find it so important to be directly involved. I started the business from the ground up and completed all the dog sittings and walking personally for the first few months. As we began growing I wanted to always be very involved with all of my employees as well as all of my clients and their four-legged fur babies to ensure the service I always wanted to provide was done with passion and care. Accreditation- we have earned several certifications in order to provide a next level quality service to all the dogs we walk and sit in San Francisco. Background Checks- All of our employees are required to conduct a background check for many reasons. We want to give our dog parents peace of mind that the dog walker who is taking care of their fur baby has a clean record and a safe driving record. We also understand how important it is for our clients to feel safe with who is coming into their homes. Dog behavioral classes- In my previous blogs I have affirmed how important it is to notice the individuality of each dog. Each dog is different and should be treated as such. In order to provide a good, reliable, and fun dog walking service to the dogs, it is important to receive some dog behavioral courses to understand why some dogs act the way they act. In return this provides for a fun dog walking experience and environment for everyone involved. Red Cross- All of our employees are Pet CPR trained and First Aide trained from the Red Cross, so you can rest assured your dog is in good hands. Passion- All of our employees have volunteered at a rescue shelter and/or either have dogs of their own. Also, when hiring new employees, we make sure to do a long check in process to ensure the candidate is highly passionate about dogs and highly qualified. Friendly Staff- My education and work experience has helped me shape a high functioning, respecting, and fun-loving team. I know how important it is for a staff to feel valued and respected by the company they work for. When they are offered a safe and happy work environment they provide a passionate and loving service to our clients. PetCheck- Our Canine Cuties dog walkers are well trained with our application PetCheck in order to provide our clients with accurate check in times. Thank you for taking the time to read. In my upcoming weekly blogs, I will discuss how our dog walking services in San Francisco differ from the other endless choices out there.